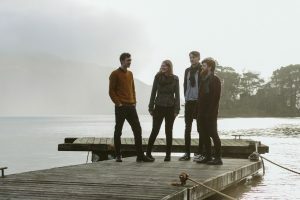 Westward The Light is a remarkable new band, a collaboration between piano/fiddle duo Charlie Grey and Joseph Peach (BBC Radio 2 Young Folk Award Finalists 2017), fiddle and viola player Sally Simpson (Catriona Hawksworth and Sally Simpson, Heisk), and guitarist and vocalist Owen Sinclair (Tanara, Inyal). 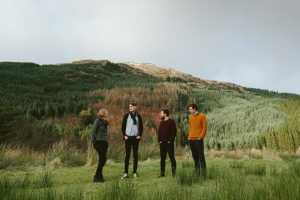 On fiddle, viola, vocals, piano, and guitar, the quartet creates a sound reflective of upbringings immersed in the nature and landscapes of Scotland. Elements of melodies are highlighted and explored by a varied instrumentation, audiences taken on an aural journey of Scottish sentiment, weather, culture and modernity.